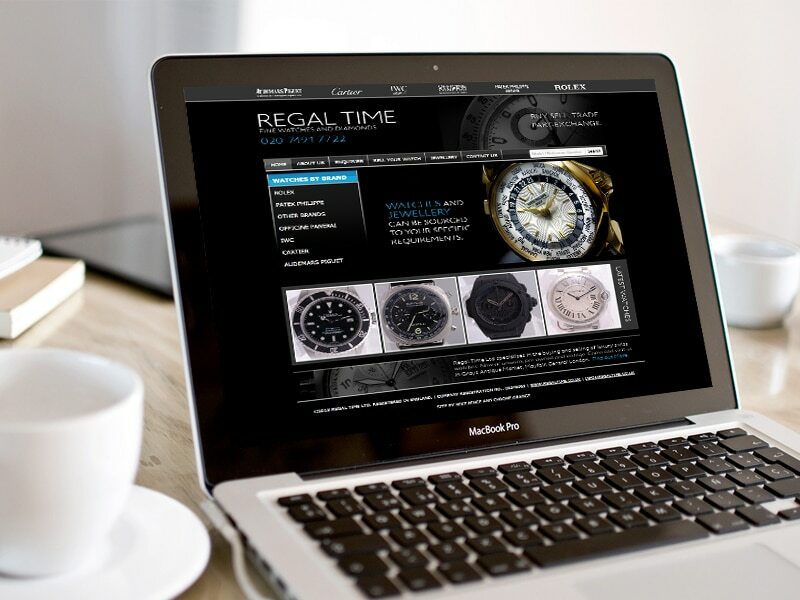 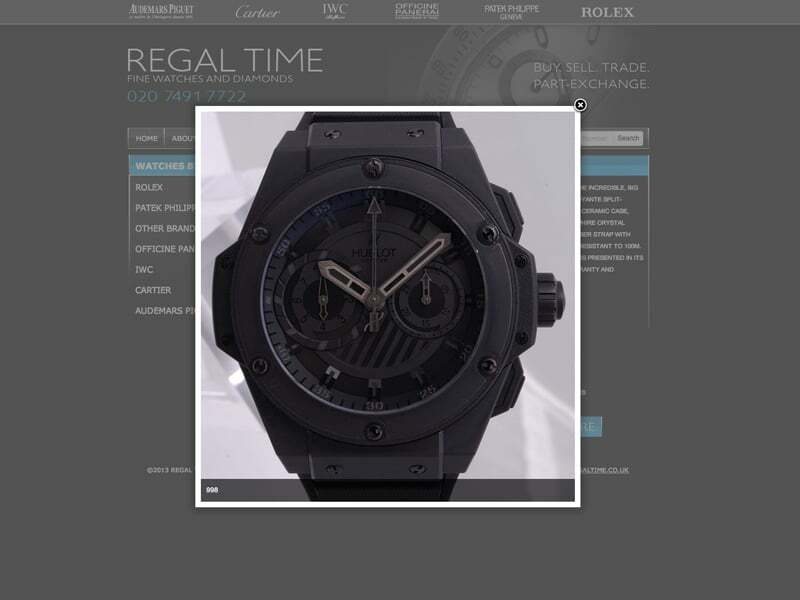 I was asked to develop a website for London based watch Dealer Simon Freedman of Regal Time, he wanted the website to not only feature is fine watches but also deliver a classy and sleek looking experience. 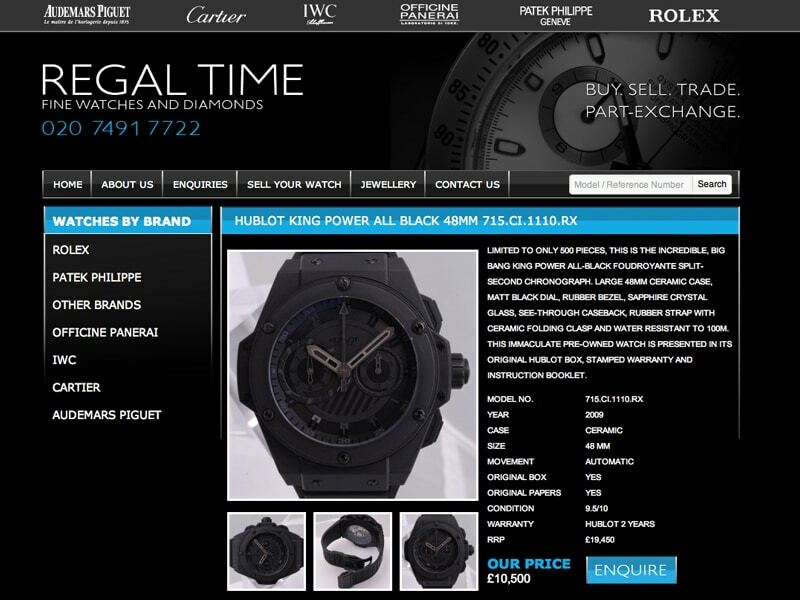 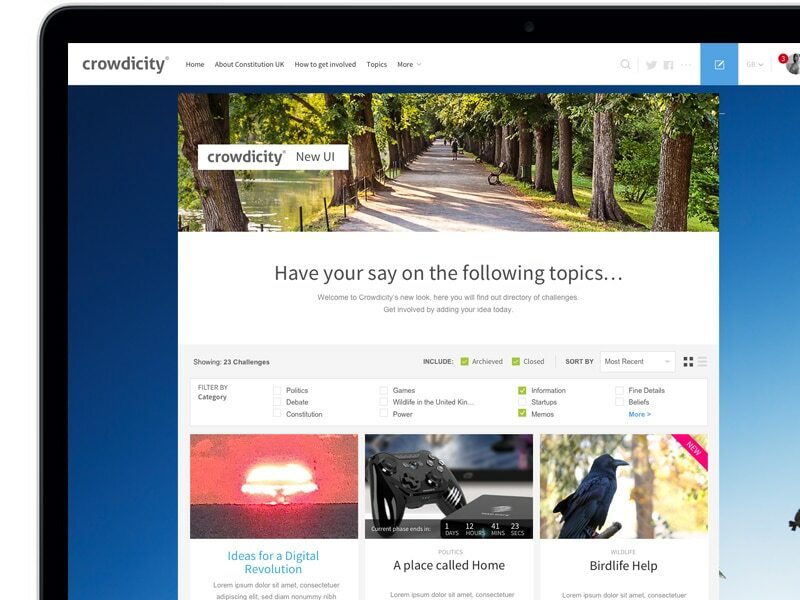 We created a custom dark theme for WordPress that ticked all the boxes and not only looked great but also hit their budget. 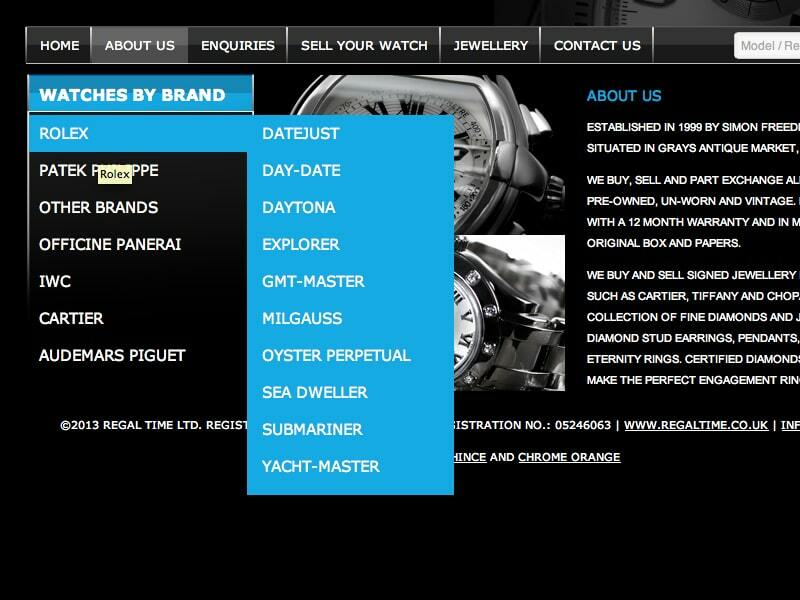 Only of the issues we faced as we didn’t want to order watches directly online as his watch stock changed from day to day, so we hooked up a WooCommerce theme that was edited to send an enquiry email rather than a purchase.